Aluminium 6061 alloy propeller. Size: 7-1/2 x 7" ; Material: Aluminium; Ř: 7-1/2; Pitch: 7". Aluminium 6061 alloy propeller, 10 tooth spline. Part No: 58100-93723-019; Size: 9-1/4 x 9" ; Material: Aluminium; Blade: 3; Ř: 9-1/4; Pitch: 9". Fits also: DF 15HP (4 stroke), 1997- ... .
Aluminium 6061 alloy propeller, 10 tooth spline. Part No: 58100-93733-019; Size: 9-1/4 x 10" ; Material: Aluminium; Blade: 3; Ř: 9-1/4; Pitch: 10". Fits also: DF 15HP (4 stroke), 1997- ... .
Aluminium 6061 alloy propeller, 10 tooth spline. Part No: 58100-93743-019; Size: 9-1/4 x 11" ; Material: Aluminium; Blade: 3; Ř: 9-1/4; Pitch: 11". Fits also: DF 15HP (4 stroke), 1997- ... .
Aluminium 6061 alloy propeller, 10 tooth spline. Size: 9-1/4 x 11" ; Material: Aluminium; Blade: 3; Ř: 9-1/4; Pitch: 11". 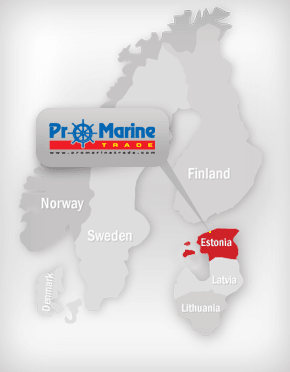 Fits also: 20 EFI (4 stroke), 2013- ... .
Aluminium 6061 alloy propeller, 10 tooth spline. Part No: 58110-96312-019; Size: 10-1/4 x 10" ; Material: Aluminium; Blade: 3; Ř: 10-1/4; Pitch: 10". Fits also: DF 30HP (4 stroke), 2000- ... .
Aluminium 6061 alloy propeller, 10 tooth spline. Part No: 58110-96321-019; Size: 10-1/4 x 11" ; Material: Aluminium; Blade: 3; Ř: 10-1/4; Pitch: 11". 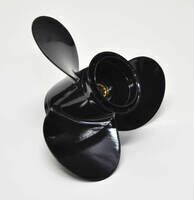 Fits also: DF 30HP (4 stroke), 2000- ... .
Aluminium 6061 alloy propeller, 10 tooth spline. Part No: 58110-96331-019; Size: 10-1/4 x 12" ; Material: Aluminium; Blade: 3; Ř: 10-1/4; Pitch: 12". Fits also: DF 30HP (4 stroke), 2000- ... .
Aluminium 6061 alloy propeller, 10 tooth spline. Part No: 58110-96440-019; Size: 10-1/4 x 13" ; Material: Aluminium; Blade: 3; Ř: 10-1/4; Pitch: 13". Fits also: DF 30HP (4 stroke), 2000- ... .
Aluminium 6061 alloy propeller, 13 tooth spline. Part No: 58110-95222-019; Size: 11-1/2 x 11" ; Material: Aluminium; Blade: 3; Ř: 11-1/2; Pitch: 11". Fits also: DT 55HP, 1985- 96; DT 60HP, 1983- 84; DT 65HP, 1985- 97 ja Johnson / Evinrude, 40HP (4 stroke), 1999- ... ; 50HP (4 stroke), 1999- ... .
Aluminium 6061 alloy propeller, 13 tooth spline. Part No: 58110-95393-019; Size: 11-5/8 x 12" ; Material: Aluminium; Blade: 3; Ř: 11-5/8; Pitch: 12". Fits also: DT 55HP, 1985- 96; DT 60HP, 1983- 84; DT 65HP, 1985- 97 ja Johnson / Evinrude, 40HP (4 stroke), 1999- ... ; 50HP (4 stroke), 1999- ... .
Aluminium 6061 alloy propeller, 13 tooth spline. Part No: 58110-95313-019; Size: 11-1/2 x 13" ; Material: Aluminium; Blade: 3; Ř: 11-1/2; Pitch: 13". Fits also: DT 55HP, 1985- 96; DT 60HP, 1983- 84; DT 65HP, 1985- 97 ja Johnson / Evinrude, 40HP (4 stroke), 1999- ... ; 50HP (4 stroke), 1999- ... .
Aluminium 6061 alloy propeller, 13 tooth spline. Part No: 58110-95353-019; Size: 11-5/8 x 14" ; Material: Aluminium; Blade: 3; Ř: 11-5/8; Pitch: 14". Fits also: DT 55HP, 1985- 96; DT 60HP, 1983- 84; DT 65HP, 1985- 97 ja Johnson / Evinrude, 40HP (4 stroke), 1999- ... ; 50HP (4 stroke), 1999- ... .
Aluminium 6061 alloy propeller, 13 tooth spline. Part No: 58110-95363-019; Size: 11-1/4 x 15" ; Material: Aluminium; Blade: 3; Ř: 11-1/4; Pitch: 15". Fits also: DT 55HP, 1985- 96; DT 60HP, 1983- 84; DT 65HP, 1985- 97 ja Johnson / Evinrude, 40HP (4 stroke), 1999- ... ; 50HP (4 stroke), 1999- ... .
Aluminium 6061 alloy propeller, 13 tooth spline. Part No: 58110-95500-019; Size: 13,5 x 15" ; Material: Aluminium; Blade: 3; Ř: 13,5; Pitch: 15". Fits also: DT 100HP, 1989- ...; DT 115HP, 1981- ... ; DT 140HP, 1981- ... .
Aluminium 6061 alloy propeller, 13 tooth spline. Part No: 58110-94512-019; Size: 13,5 x 17" ; Material: Aluminium; Blade: 3; Ř: 13,5; Pitch: 17". Fits also: DT 100HP, 1989- ...; DT 115HP, 1981- ... ; DT 140HP, 1981- ... .
Aluminium 6061 alloy propeller, 13 tooth spline. Part No: 58110-95550-019; Size: 13 x 18" ; Material: Aluminium; Blade: 3; Ř: 13; Pitch: 18". Fits also: DT 100HP, 1989- ... ; DT 115HP, 1981- ... ; DT 140HP, 1981- ... .
Aluminium 6061 alloy propeller, 13 tooth spline. Part No: 58110-94522-019; Size: 13 x 19" ; Material: Aluminium; Blade: 3; Ř: 13; Pitch: 19". Fits also: DT 100HP, 1989- ... ; DT 115HP, 1981- ... ; DT 140HP, 1981- ... .
Aluminium 6061 alloy propeller, 13 tooth spline. Part No: 58110-94532-019; Size: 13 x 21" ; Material: Aluminium; Blade: 3; Ř: 13; Pitch: 21". Fits also: DT 100HP, 1989- ... ; DT 115HP, 1981- ... ; DT 140HP, 1981- ... .
Aluminium 6061 alloy propeller, 15 tooth spline. Part No: 58110-90J41-019; Size: 13,5 x 15" ; Material: Aluminium; Blade: 3; Ř: 13,5; Pitch: 15". Aluminium 6061 alloy propeller, 15 tooth spline. Part No: 58110-90J01-019; Size: 14 x 17" ; Material: Aluminium; Blade: 3; Ř: 14; Pitch: 17". Aluminium 6061 alloy propeller, 15 tooth spline. Part No: 58110-90J11-019; Size: 14 x 19" ; Material: Aluminium; Blade: 3; Ř: 14; Pitch: 19". Aluminium 6061 alloy propeller, 15 tooth spline. Part No: 58110-90J21-019; Size: 14 x 21" ; Material: Aluminium; Blade: 3; Ř: 14; Pitch: 21".